To import your Farmlands statement, you'll need to sign up for the free service. Your statement is then automatically fed into your farm business by the 10th of each month. When you’re logged into your farm business, a notification appears at the top of the screen, ‘New Farmlands statement is available’. 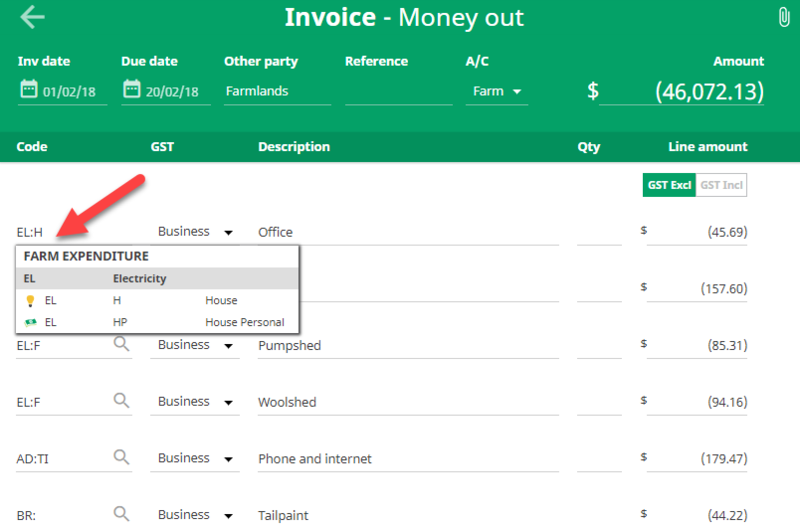 In the Activity screen, the statement appears in the Invoice section, under the month it applies to, based on the due date on your statement. Before the statement can be moved to the Completed section, each invoice line needs to be given a category and extended code. Edit the statement sitting in the Invoice section of your Activity screen. Each line needs a category code and extended code before you can save your work. TIP: Set up invoice coding rules and reduce the amount of time spent coding. Have a look at our Invoice coding rules topic.